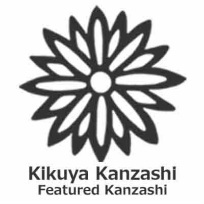 ようこそ！Welcome to the Kikuya Kanzashi website! ﻿Kikuya Kanzashi designs and makes traditional Japanese tsumami kanzashi hair ornaments inspired by those worn by the maiko and geiko of Kyoto, Japan. 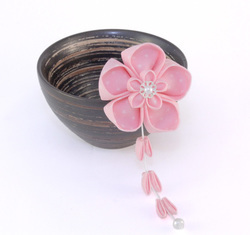 We have a unique range of handmade kanzashi available in our online shop. 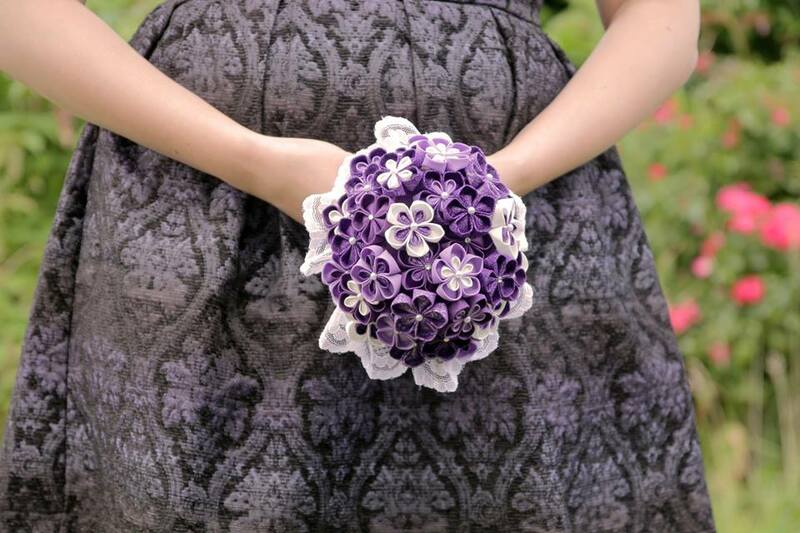 Our kanzashi are made from high quality fabrics and come in a variety of designs, colours patterns and styles. Bespoke custom orders can be designed and created especially for you. We have previously worked with clients to create kanzashi for weddings, proms, theatre productions and cosplays. Please feel free contact us to discuss ideas, fabrics and costs. We have a wide variety of kanzashi available. Visit our shop to see our full range. Commission a special, custom design. Get in touch to discuss your requirements for bespoke pieces for a special event such as a wedding or party, or an idea you want to see expertly created. Beautiful double flower kanzashi made from a pretty pink cotton with a star pattern. Please visit www.fugujam.co.uk to see our brand of clothing inspired by Japan. Here you will find a collection of t-shirts and bags featuring original screen printed artwork for both men and women. New designs available now and more coming soon! Payment is made through PayPal's secure checkout. If you do not have a PayPal account, you can pay safely and securely with your credit or debit card through Paypal by choosing this option at the checkout.